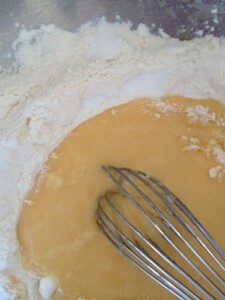 I love cooking when I have time so today with a spare few moments I was happy amongst my pots and pans. I had some ripe bananas asking to be muffins. 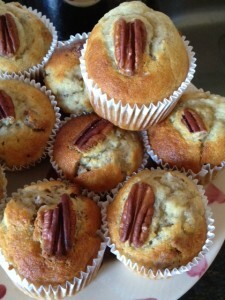 I have adapted this delicious muffin recipe from Nigella Express as so quick, easy and yummy! 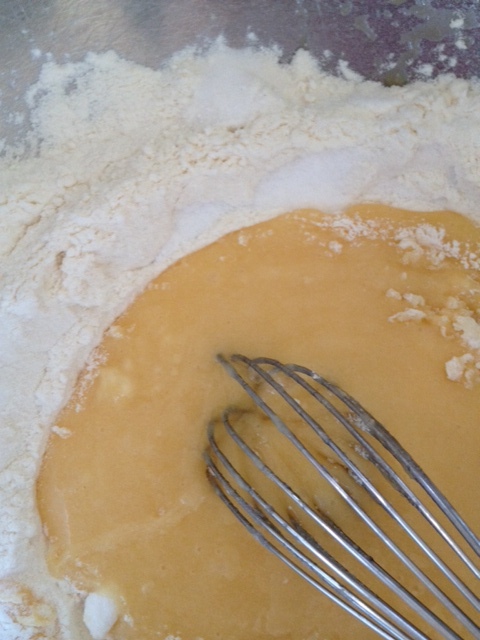 Put flour, sugar, baking powder, into a bowl and mix in the egg and oil mixture. 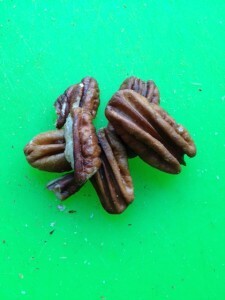 Add mashed bananas, add chopped pecan nuts. Mix. This entry was posted in SCI Diet and tagged Recipes by everydaycarer. Bookmark the permalink.